I expected to find a great set of fully-editable graphics (I have always loved their great hand-drawn graphics) and I wasn’t disappointed. There are graphics for the various roles, meetings, and major concepts found in Scrum. In addition, though, I was pleasantly surprised to find that the template strives to teach you about scrum in addition to providing you the necessary tools to make future scrum-related presentations. Advanced Scrum Knowledge: A scrum guide and what to do with existing roles! Tips for Scrum elements: Diving into the details on all the rituals plus bits on organizational change, building good teams, etc. 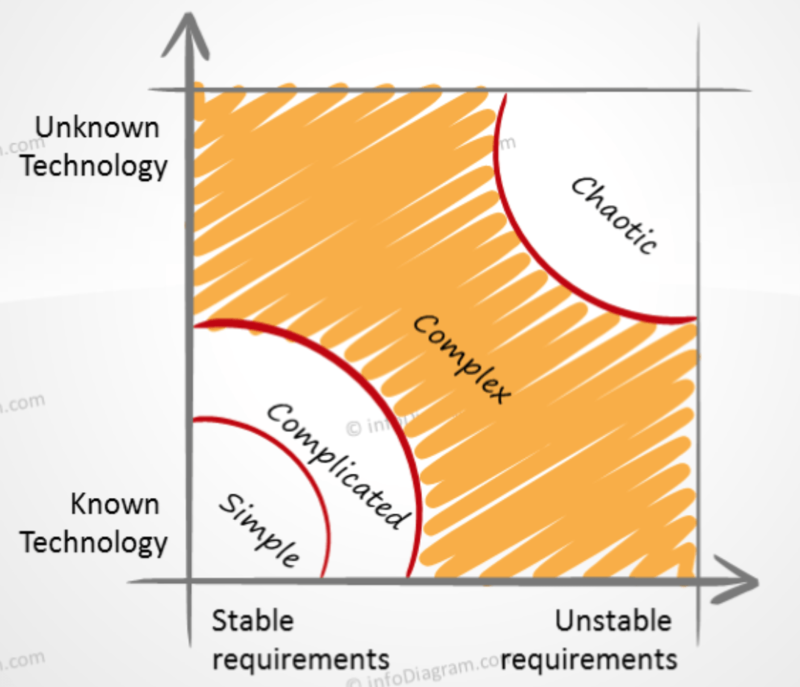 The Stacey Matrix, from Ralph Douglas Stacey, is often said to explain the sweet spot for using agile methodologies, which is for complex and complicated projects. It is noted that Agile can work in simple projects, but it is a lot of overhead. This fun tool is meant for capturing team mood. If you’re not measuring this, you definitely should. I think that if you can make your customers happy AND your team happy, you must be doing something right! Just know that not everyone shares their feelings openly. 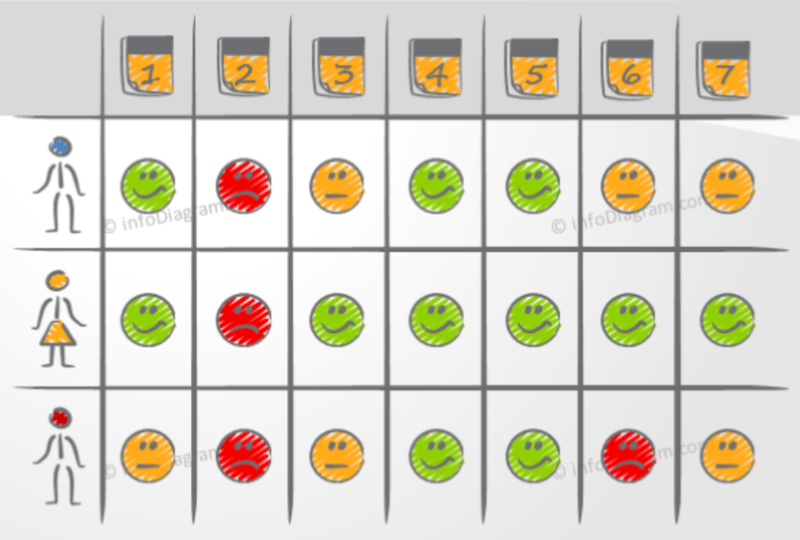 My opinion is that this template is a great tool to have for those times where you need to explain the Scrum process and the Agile mindset as a whole. I don’t want to give away all of the fabulous features of the template so check it out on their site. You can look through all the slides before deciding to purchase. The iteration graphic is worth the price of admission. Its hard to make that one on your own and have it look nice! 🙂 Go take a look, it won’t be a waste of time. Big thanks to Peter and the team at InfoDiagram.com for continuing to make such helpful resources for our industry. Follow Peter on twitter: @peter_idiagram. Hey Readers, if you read this far, head over to InfoDiagram.com and use promo code JuliasFive at checkout to get $5 off any package! Thanks for being a reader.